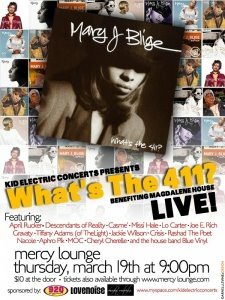 Kid Electric Concerts presents: WHAT’S THE 411 LIVE, benefiting the Magdalene House. Nashville’s local soul/r+b/rap/pop singers cover Mary J Blige’s first album. This event is a sure crowd pleaser. The classic album will be performed live in its entirety. With so many memorable hits, What’s the 411? 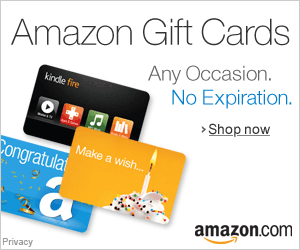 is arguably to R&B music what Nirvana’s Nevermind was to Grunge music in the 90’s (source). This going to be a great throwback night to the 90’s for a really great cause. Performers include Descendants of Reality, April Rucker, Lo Carter, Joe E. Rich, Casme’ and more. PlayDate Nashville – An Alternative To The Typical Night Out! PlayDate provides a fun and exciting atmosphere where you can enjoy good food & cocktails, listen to a variety of music, socialize, and meet great people all while playing games – from Spades to Chess, Twister to Uno, Hungry Hungry Hippos to Rock ‘Em Sock ‘Em Robots, and EVERYTHING in between. We even feature nostalgic favorites like Hula Hoops and Pac-Man, and interactive experiences like Wii Bowling, Musical Chairs, and Simon Says! 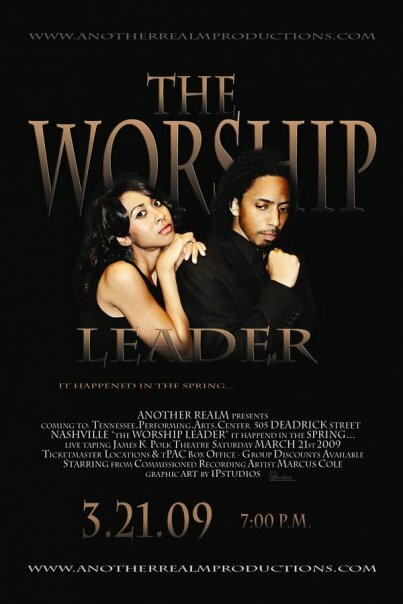 Written and Directed by Roger “Teco” Trent, it’s a modern day story of David and Bathsheba set in Pittsburgh, PA. Starring Marcus Cole from Commissioned. It is a dynamic stage play with a biblically based story line that includes music, vocals and graceful dancing all in one. This is not your usual gospel stage play. Make sure to support our local actors. 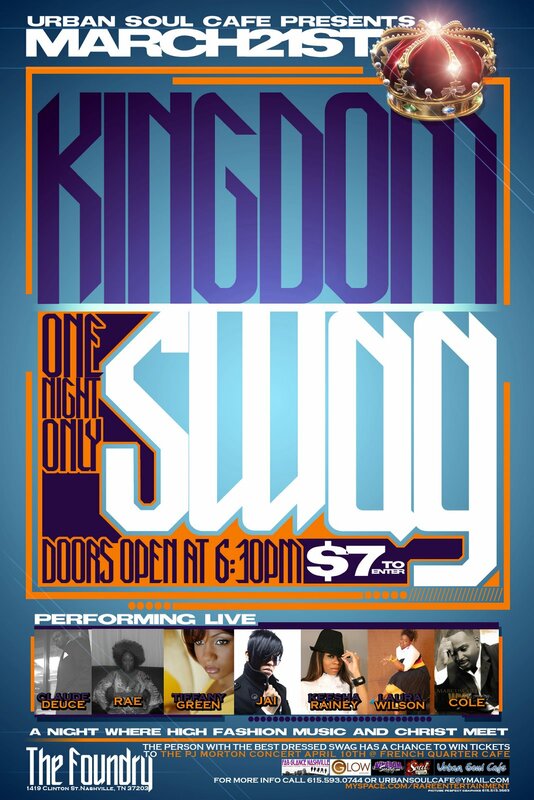 A night where HIGH FASHION, MUSIC, and Christ meet. Performing live will be JAI, Tiffany Green and Marcus Cole. Come early to win tickets to upcoming shows.